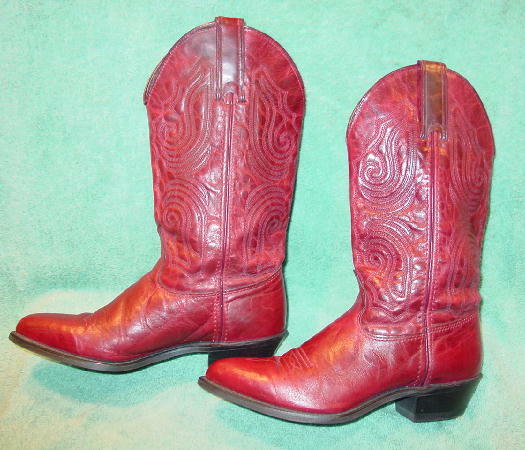 These burgundy-red wine leather cowboy boots are by Capezio. 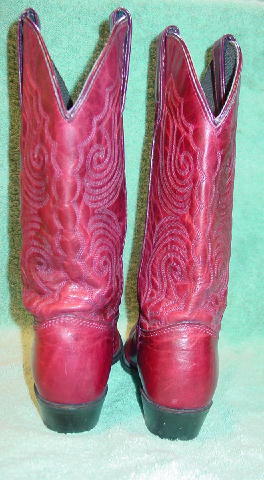 They have a tooled design all the way around the leg area and there are two side bootstraps. The vamp area has a stitched design. 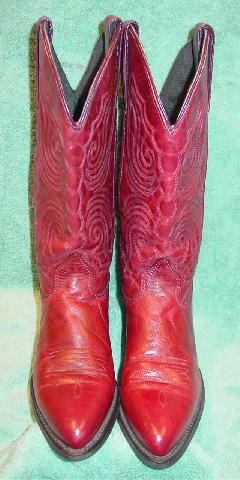 They have scuff marks, wrinkles, and dark marks on the toe area (probably from something rubbing against them). There are black fabric linings. They haven't been worn very much. upper side center to bottom of heel 13 1/2"